The Colombo High Court yesterday fixed for September 28 to deliver its order regarding the request made by Yoshitha Rajapaksa that he be allowed to go abroad for medical treatment. Yoshitha Rajapaksa, the second son of former President Mahinda Rajapaksa whose passport was impounded by Court over alleged money laundering at Carlton Sports Network (CSN), had sought the Colombo High Court’s permission to temporarily lift his travel ban. Filing a motion before Colombo High Court Judge A.A.R. Heiyantuduwa, President’s Counsel Gamini Marapana with Nalin Marapana appearing on behalf of Yoshitha Rajapaksa informed Court that their client was expecting to leave for Melbourne in Australia for one month, for treatment for an ankle disorder. 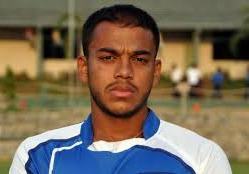 They informed Court that Yoshitha had been selected to the National Rugby Pool. Counsel further informed that his passport was required to obtain visa. However, the Attorney General raised objection to the request and Court would conduct an inquiry in this regard on September 28. On March 14, four suspects including Yoshitha Rajapaksa, Nishantha Ranatunga and Rohan Weliwita were remanded over an alleged money laundering case. They are currently out on bail.